Baroness Deech’s private member’s bill seeks to replace section 25(2) of the MCA 1973. Full story: Family Law Week. National Unit perceived to have had critical role in the set-up of new FDACs. Full story: Family Law Week. The Court of Appeal has overturned remedy orders in a divorce case after finding a string of procedural errors with how the matter was handled. Full story: Law Society Gazette. See Iqbal v Iqbal, below. A former banker who blew his fortune on spread-betting was yesterday ordered to hand over income from a foreign pension to his ex-wife, in what lawyers said was a landmark ruling stopping divorcing spouses concealing assets offshore. Full story: The Telegraph. See Goyal v Goyal, below. Judgment gives wife 37.5% of £36.95 million. Full story: Family Law Week. A total of six social workers were involved in the case leading to failures in working with the family. Full story: Community Care. Appeal by local authority against finding of breach of Art 8 rights of parents in care proceedings. Appeal allowed. Full report: Bailii. Judgment concerns an issue about the anonymisation, or not, of a financial remedy judgment. Full report: Bailii. Appeals by husband against various orders made in financial remedy proceedings, including interim periodical payments, judgment summonses and final order. Full report: Bailii. Appeal by husband against financial remedies order. Appeal dismissed. Full report: Bailii. Final hearing of applications for ancillary relief, for provision pursuant to Schedule 1 of the Children Act 1989, and for an order for sale of the former matrimonial home pursuant to section 17 of the Married Women's Property Act 1882. Full report: Bailii. Applications by husband for permission to appeal against variation of capital provision in consent order and to appeal against three committal orders. Full report: Bailii. Application by mother, seeking return of 3 year old daughter to Canada. Application dismissed. Full report: Bailii. Further judgment in long-running ancillary relief proceedings, dealing with outstanding issues, including the variation of a periodical payments order. Full report: Bailii. LONDON - The “Cost of Family Failure Index” 2016 has revealed that the cost of family breakdowns to the taxpayer had risen by £1 billion to £48 billion, and is still going up. Meanwhile, despite mediation being a legal requirement for separating couples before they can apply for an expensive court order, just 14% of parents were aware of family mediation when they were separating. At the start of Family Mediation Week (23-27 January 2017), the Family Mediation Association is calling for greater public understanding of the divorce process to better protect children and other at-risk parties, as well as reduce the burden on the taxpayer. There is a legal requirement to speak to a mediator before applying to the family courts, which was introduced in 2014, because the government and the courts believe that mediation and other forms of dispute resolution can help many more families resolve their differences in a constructive and more cost effective way than bitter court battles. However, every year thousands of families are still torn apart by expensive and emotionally charged courtroom showdowns, with parents often agreeing on major financial decisions, but arguing over relatively trivial matters. This spirals the costs and increases the damage to any children affected. Minister of State at the Ministry of Justice, Sir Oliver Heald said: "I am a strong supporter of mediation and the way in which it can help couples reach agreements and reduce the stress of separation. FMC Code of Conduct 2.3: family mediators have a special duty to try to help couples end their marriage or relationship in a way that minimises their distress, and the distress of any children involved, and in a way that promotes as good a relationship between parents and children as possible. FMC Code of Conduct 5.7.1: family mediators have a special duty to encourage parents to consider the children’s wishes and feelings and that all children and young people aged 10 and above should be offered the opportunity to have their voices heard directly during the mediation. FMC Code of Conduct 5.7.2: mediators have a special duty to pay particular attention to the welfare of any children involved and to encourage all parents to focus on the needs and interests of the children. FMC Code of Conduct 2.1 and 6.19: mediators have a special duty to help families work together to reach decisions the family considers appropriate to their own particular circumstances, decisions that are fully informed and freely made, and to help families understand the consequences of those decisions for themselves, their children and other relevant family members. To find out more about Family Mediation Week, visit www.thefma.co.uk. Women’s Aid welcomes recommendations of Cobb Review. Full story: Family Law Week. Justice minister working ‘within straitjacket’ of UK’s finances. Full story: Solicitors Journal. This Guidance was originally issued on 13 October 2014. This revised Guidance, issued on 18 January 2017, supersedes the previous Guidance. Full story: Family Law Week. Dossier indicates drive to increase adoptions is punitive for low-income families and alternatives exist. Full story: The Guardian. The Ministry of Justice has published their 2015-2016 Report on the implementation of Law Commission proposals. Full story: Family Law. Application for a s.8 order by mother, in respect of a child living in Dubai. Judgment dealing with issue of jurisdiction. Full report: Bailii. Application by mother for declaration that father's contempts in relation to his failure to return children from Nigeria were criminal, so that she could seek father's extradition. Full report: Bailii. Judgment dealing with procedural points in cases involving English adoption of Scottish children. Full report: Bailii. Breaking out of the bubble - President Obama was right about so many things. His last speech included a lesson relevant to the family law debate. ECHR case demonstrates why it is pointless having a law that prevents anyone from getting divorced - The ECHR case being Babiarz v. Poland. Orders made in his absence breach father’s right to a fair hearing - Another ECHR case, Gakharia v Georgia. LAs should not be permitted to opt out of statutory duties to children and families. Full story: Family Law Week. Sixteen family lawyers have been included among the new Queen's Counsel appointed today (12 January 2017). Full story: Family Law. Private members bill receives cross-party support ahead of Commons debate. Full story: Solicitors Journal. In December 2016, Cafcass received a total of 1,068 care applications. This figure represents a 3% decrease compared with those received in December 2015. Full story: Cafcass. In December 2016, Cafcass received a total of 2,938 new private law cases. This is a 1% increase on December 2015 levels. Full story: Cafcass. A family and friends foster carer who took on three vulnerable children after their mother was unable to care for them, failed to get council support for the arrangement for 6 years. Full story: Family Law. Wardship proceedings concerning 4 year old child currently living in Singapore in the care of his paternal grandparents. Full report: Bailii. Deprivation of liberty challenge by man in his 40s under continuous supervision and control. Full report: Bailii. Response and responsibility - Newly qualified lawyers must be nurtured. Dowry: the problem that won’t go away - The subject of an old House of Lords judgment is not as archaic as some might think. A lot of progress, and none - Looking at some more old House of Lords judgments. A system that does not unnecessarily pry into private lives - A plea to modernise our family justice system. A new website from Coram’s Child Law Advice Service which helps children and young people to find out about their rights, goes live today, January 9th 2017. LawStuff.org has been designed to enable visitors to find out their legal rights in a way which is easy to navigate and understand. It will be updated regularly to ensure that all information reflects any changes to the law affecting children’s rights. For optimum accessibility a pop up glossary has also been added to the website to help explain complex legal terms. The website also hosts the popular publication At what age can I? Here, young people can find out what activities they can do at certain ages such as, “when can I learn to drive?”, “when can I babysit?” and “when can I leave home?” The website will be updated regularly and information will be added to ensure that any changes to the law relating to children’s rights are addressed. Young people who have specific enquiries which are not covered on the LawStuff site can go to www.childlawadvice.org.uk to find relevant contact details. 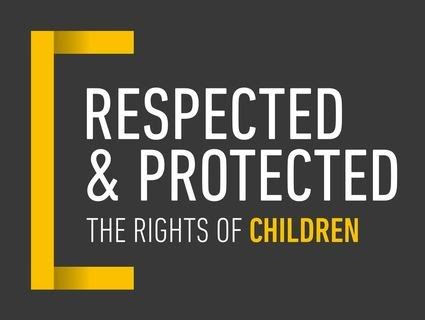 Gemma Smith Manager of the Child Law Advice Service (CLAS) said: "it is extremely important that children and young people know that they have rights which are respected and protected in law. Knowing that they have rights can boost a child or young person’s confidence. It lets them know that they are valued whilst also helping them to respect the rights of others." A letter from Cafcass has been circulated today (5 January 2017) with a view to clarifying best practice arrangements where referral to a Domestic Violence Perpetrator Programme is intended. Full story: Family Law. A High Court judge has strongly criticised a council and a police force for serious breaches of the Human Rights Act, after two children were retained in care despite their mother not being charged with an offence following her arrest. Full story: Local Government Lawyer. See GD & BD, below. Justice secretary intervenes after Guardian investigation revealed women often cross-examined by violent ex-partners in private hearings. Full story: The Guardian. Online divorce petition expected to be completed by end of summer 2017. Full story: Solicitors Journal. I am currently considering the review of Practice Direction 12J undertaken by Mr Justice Cobb, who met with Women’s Aid during the course of his review. I expect to make decisions on the review early in the New Year. Full story: Courts and Tribunals Judiciary. James Munby, head of high court’s family division, to continue far-reaching reforms to bring more transparency to the system. Full story: The Guardian. In force from 1 March 2017. Full story: Family Law Hub. Key figures in the legal sector have today been giving evidence at the Justice Committee's inquiry on the implications of Brexit on the justice system. Full story: Family Law Week. Doctors should stop providing life-support treatment to a police officer who has been in a coma since July 2015, a judge has ruled. Full story: BBC News. See Briggs v Briggs, below. Randy Work, an American financier, is seeking to overturn as order at the High Court last year awarding his estranged wife, Mandy Gray, half of a fortune, totalling more than £140 million. Full story: The Telegraph. Appeal dismissed in Scatliffe v Scatliffe. Full story: Family Law Week. Judgment considering whether life-preserving treatment should be withdrawn from patient in a minimally conscious state. Full report: Bailii. Two linked applications brought under the Human Rights Act seeking awards of damages and declarations arising from the conduct of two public authorities in the context of public law proceedings. Full report: Bailii. Application by wife for financial remedy orders after a short marriage which lasted 19 months to the date of the parties' separation. Full report: Bailii. Festive cheer from The Guardian - The Guardian rudely interrupts the Christmas and New Year break, in particular to raise the issue of alleged domestic abuse victims being cross-examined by their alleged perpetrators. The effect of leaving the European Convention on Human Rights - Some initial thoughts on this important issue. The importance of the refuge - Another reminder, following the news that Sunderland may be the first major city in the country to be left without a women's refuge. Thousands of couples who are looking to separate this January will miss out on the help they desperately need because they don’t know which way to turn, a leading family charity has warned. Over 100,000 marriages end each year, and January sees a traditional rise in divorce and separation as families emerge from the festive season having been battered by pressures on finances and relationships that have been highlighted during the holiday. So staff at family dispute specialists, National Family Mediation (NFM), are on new year alert, gearing up for a huge increase in calls, emails and website visits. “At a time of crisis, you need to know where you can turn for help,” says Jane Robey, CEO of NFM. “There will be many couples who’ve decided for sure in the last couple of weeks to separate, but they’ll need more information about their options as they look to make arrangements for parenting, property and finance. “Many will think they must head off to a solicitor to prepare for a very expensive and protracted court room confrontation in which they can achieve a ‘victory’ over their ex. But there are alternative approaches that are quicker, much cheaper and much less stressful. “There is no need to leave it to a court to make vital life-changing decisions,” she says. “You can instead choose to talk with a professional family mediator who will help you agree on the vital things that need to be sorted for the future. Family mediation is a much, much quicker process, allowing you to remain in control of all the decisions affecting your family’s future,” she added. NFM’s professionally accredited family mediators can help families resolve all the practical, legal, emotional and financial issues that arise from separation. Most importantly, they can help families make long lasting arrangements that benefit their children. Anyone wanting to know more can call 0300 4000 636 to find their nearest professional non-profit family mediator or type in their postcode at www.nfm.org.uk/local.